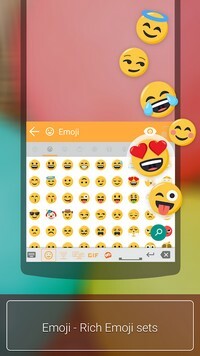 ai.type keyboard Plus + Emoji is the smartest plus personalized keyboard app with Emoji for android. 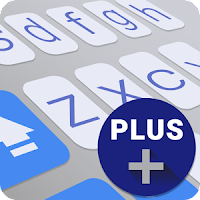 Our app lets you type better and faster by learning your writing style, it allows you to customize and personalize your keyboard the way you like. With over 50 million users worldwide, we transform the messaging experience. Our app lets you type better and faster by learning your writing style, it allows you to customize and personalize your keyboard the way you like. 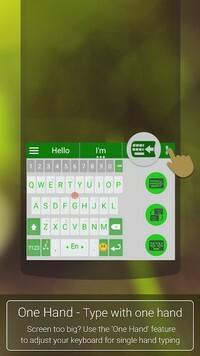 Thousands of free themes - Choose any of the free and attractive keyboard themes out of thousands available themes as part of our Theme Market. Design and share your own theme - Design personalized layout (background, colors, fonts…), Share theme with friends and upload theme to our app Theme Market where millions of other users can see, rate and ⬇ download them. Emoji Support - Enjoy our new Emoji scrollable layout helping you to easily navigate through 800 different emoji and more than 1000 graphical chars. Efficient top row.Use our top (5th) row to efficiently add numbers, punctuation and emoji, from within the primary keyboard screen. On-keyboard search - to help you find text instantly. 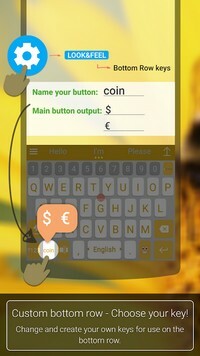 Voice Narration - Dictates the words as you type them.